“The Divine Comedy” by Dante Alighieri. We, at Trulli Italian School, are proud to present a unique and rare course in Italy for foreigners who love Italian literature: 3 special literary lessons, focusing on “The Divine Comedy” by Dante, conducted exceptionally by the renowned Apulian poet, Giuseppe Goffredo. During the readings you’ll feel the real essence of Dantesque poetry, you’ll listen to the beating heart of his syllables pulsating and see the most incredible images that the medieval poet was able to create in our mind. If Italian is truly “the language of angels”, as the German writer Gothe stated, then we’re sure you’ll feel as if you’re in paradise. 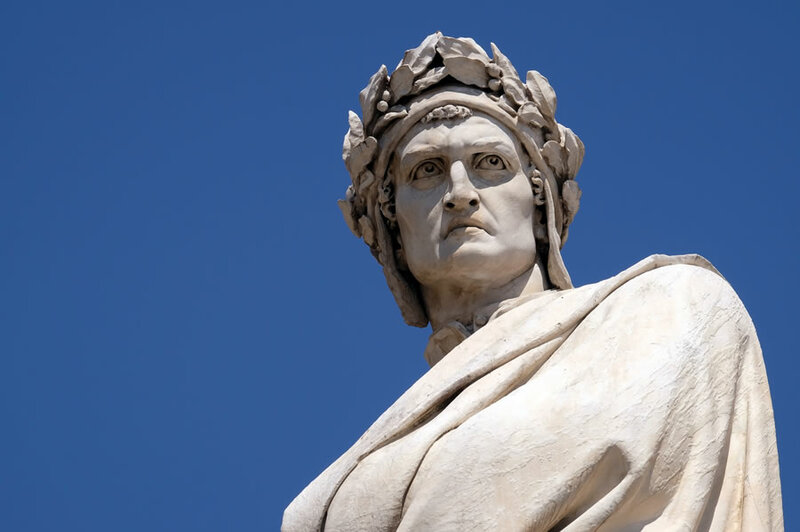 The weekly program foresees 20 hours of Italian lessons in the morning and 8 hours of afternoon lessons on Dante, divided into 2 hours daily, for 4 days. Otherwise, you’ll have the option of solely following the 8 hours of lessons on Dante, without the Italian course in the morning. Materials for Italian lessons (pens, photocopies, multimedia support, etc.). Didactic material for the lessons on Dante.